The Teddy’s Bigger Burgers chain in Hawaii is one of the most popular points for burgers, fries etc. What happened in this restaurant is not expected here. 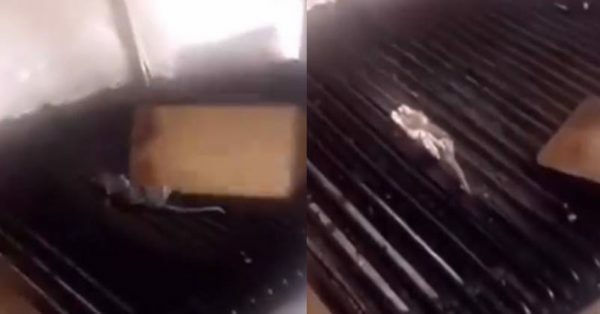 In a video that has been uploaded on Snapchat, a couple of employees working at the eatery have been spotted frying or grilling a dead rat on their flame grill, using a spatula. These things are used to make food for others as well. The video shows the employees flipping the dead rat on the barbecue. At the point when the video got viral, a huge storm occured in social media. This prompted the eatery being closed down instantly. As indicated by the spokespersons for the eatery, it was closed down briefly with the goal that the place could be sanitized and new utensils and equipment could be purchased. The president of the eatery stated, “We are horrified that a former teenage employee would conduct themselves in that way and make such a video, of which we are investigating its authenticity.” Sources additionally report that the two workers in charge of the video have been terminated.